Then, one day, one little water beetle felt an irresistible urge to climb up that stem. However, he was determined that he would not leave forever. He would come back and tell his friends what he had found at the top. When he reached the top and climbed out of the water onto the surface of the lily pad, he was so tired, and the sun felt so warm, that he decided he must take a nap. 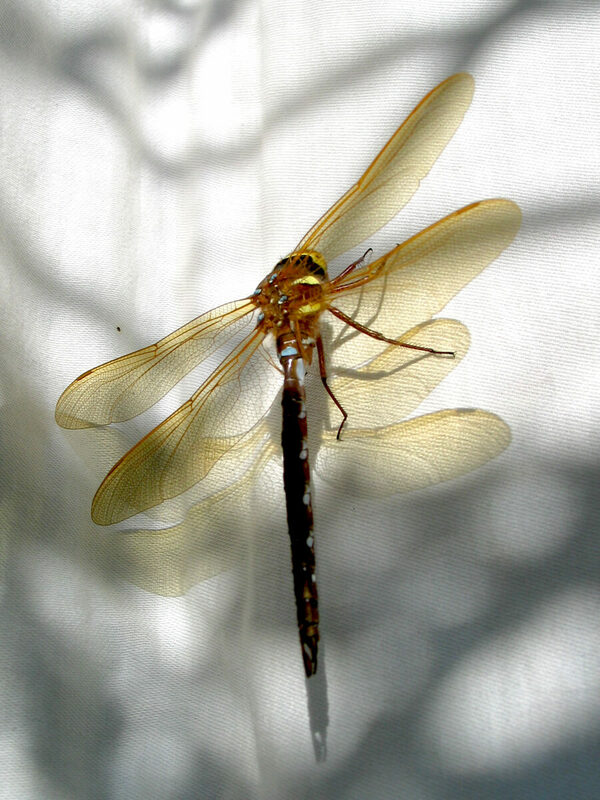 As he slept, his body changed and when he woke up, he had turned into a beautiful blue-tailed dragonfly with broad wings and a slender body designed for flying. So, fly he did! And, as he soared he saw the beauty of a whole new world and a far superior way of life to what he had never known existed. Then he remembered his beetle friends and how they were thinking by now he was dead. He wanted to go back to tell them, and explain to them that he was now more alive than he had ever been before. His life had been fulfilled rather than ended. But, his new body would not go down into the water. He could not get back to tell his friends the good news. Then he understood that their time would come, when they, too, would know what he now knew. So, he raised his wings and flew off into his joyous new life!